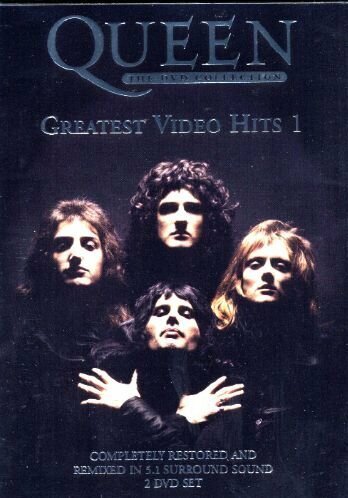 Queen's Greatest Video Hits 1 takes full advantage of the legendary status of "Bohemian Rhapsody", still ranked as one of the best-loved tunes of all time, and its equally legendary video. Although no one can wholly explain what Freddie's lament was about, this collection includes four mini-documentaries that attempt to unlock the mystery with limited success. The original videos to favourites such as "Someone to Love", "We Will Rock You" and "Killer Queen" are also included, as well as a new racier version of the video for "Bicycle Race". Brian May and Roger Taylor provide an optional audio commentary throughout, interspersed with edited interview snippets from the late Freddie Mercury. Unlike so many other audio commentaries where producers and artists too readily gush praise about each other, May's and Taylor's observations are both fascinating and frank. Although much of what they discuss about the making of the promos is replicated in the accompanying glossy DVD booklet, it's illuminating to hear them chat about their dislike of Dennis De Vallance's video for "Fat Bottomed Girls" (principally because the final cut focused almost exclusively on Mercury). Their stories about the making of the videos also add some much-needed panache to these basic low-budget promos. For instance, their account of the making of "Spread Your Wings", on a freezing winter day in Roger Taylor's garden, brings an added dimension to an otherwise flat video.